The single reached number 43 in the UK singles chart and number 14 in the Dutch Top 40. This 7" single is a numbered limited edition; I've got number 259. I've also got number 1513 so that one's for sale if you want it. 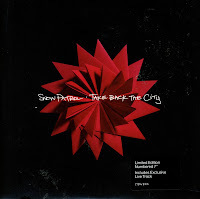 This is the second 7" single of 'Take back the city', featuring a live version of 'Set the fire to the third bar', featuring Miriam Kaufmann on vocals. The live track was recorded at Union Chapel for Mencap Little Noise Sessions. Although the track was met with mixed reviews, it still did reasonable in various charts. The single reached number 6 in the UK singles chart and number 36 in the Dutch Top 40. This 7" single was also a numbered limited edition; this is number 2261. 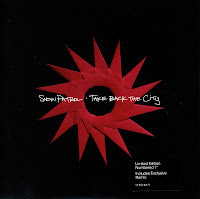 Although the lyric of Snow Patrol's 'Take back the city' was inspired by Belfast and Northern Ireland in general, it applied to every other city and the relationship its habitants have with it. Band leader Gary Lightbody said that it's 'about the reasons why I grew up confused by my country and the reasons now why I love it so'. The track was released as a single in 2008 on one cd-single and two different 7" singles. This is 7" single number 1, featuring a remix of 'Take back the city' on the B-side. It is a numbered limited edition; this is number 603. 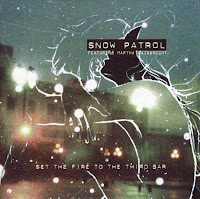 'Set the fire to the third bar' was the third single taken from Snow Patrol's fourth album 'Eyes open'. It features guest vocals from Martha Wainwright, a Canadian-American folk-rock singer/songwriter. The lyric of the song is about a couple separated by a great distance and their longing to be together again. After their long journey to meet each they would settle down in front of an electric bar fire, hence the title, 'Set the fire to the third bar'. The single reached number 18 in the UK singles chart and number 22 in the Irish chart. 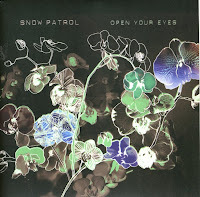 'Open your eyes' was released as the fifth single from Snow Patrol's 2006 album 'Eyes open'. Released in February 2007, the single peaked at number 26 in the UK singles chart. It went number 1 in Slovakia and number 21 in Ireland. The song has proved to be an effective track for campaigns. It was used in Barack Obama's 2008 presidential campaign, the BBC HD service campaign, a promo for the second season of the TV series 'Gossip girl' and the season 12 finale and season 13 premiere of 'ER'. The B-side is a cover of Ricky Wilde's 'I am an astronaut', which was previously featured on the Save the Children charity compilation album 'Colours are brighter'. 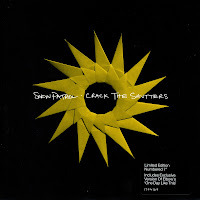 The album 'DanceRocks' was released in April 2007 and features remixes by Eddie Temple Morris. It's a collection of rock tracks by bands such as the Doors, the Who and the Infadels, remixed to fit the taste of the dancefloor crowd. 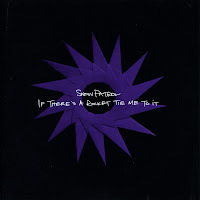 One of the tracks on the album is the Eddy TM Losers remix of 'Wow' by Snow Patrol. Being one of the hot bands around, that remix was also released on a promotional 7" single, backed with a remix of a track by Stone Lions. I didn't know this promo existed, but when I saw it I bought it immediately. The first single from Snow Patrol's 2006 album 'Eyes open' was the rock song 'You're all I have'. According to band leader Gary Lightbody: 'It’s near the beginning of a dangerously reliant relationship. The album is full of songs like this. Rather than a break up record this is a make up record. That is a massive generalization but it is a more positive record than the last'. Snow Patrol gained mainstream success with their song 'Run' in 2003. The album 'Final straw' was equally successful. It peaked at number 3 in the UK albums chart. 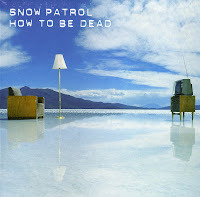 The band followed up the success of 'Run' with three more singles from the album, with 'How to be dead' being the last one. That single reached number 39 in the UK singles chart. 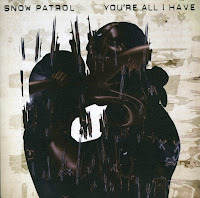 Snow Patrol made the unusual choice to release their third single off their latest album 'A hundred million suns', 'If there's a rocket tie me to it', on 7" vinyl only. There was also a digital download of the track, but that was all. It may have explained the lack of chart success of this single: it did not chart in any territory. The B-side 'In a dream I saw satellites' is an acoustic song solely written and performed by lead singer and frontman Gary Lightbody. It was recorded on the banks of Lough Corrib, Galway, Ireland.